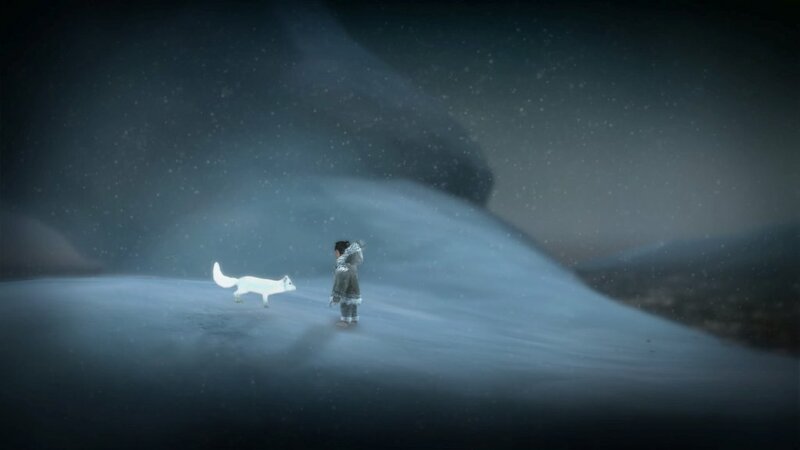 This exquisite and truly emotional game follows an Alaskan Native, Nuna who in an attempt to put an end to an eternal blizzard, encounters and forms and unlikely friendship with an Arctic Fox. Upper One Games story of the pair is based around an Alaskan folklore tale and is incredibly orientated around the Inupiat culture. Never alone is a puzzle-platformer game. The player must swap between the two companions in order to overcome the many obstacles on the pairs journey to discover the source of the almighty blizzard. Each character features differing qualities and abilities. Whilst the Fox can run faster and more nimbly traverse through the icy wilderness, Nuna may push objects and gain access to more areas using her weapon of choice, the Bola. Platformers are renowned for being exceedingly addictive and this game also maintains those expectations, having the player always want just one more attempt to overcome a particular puzzle. It is also worth noting that you are able to play this short but moving story cooperative. There are several factors that make Never Alone such a poignant game. One of which is undoubtedly the games scenery. The game is set in the cold and icy lands of Alaska which is overwhelmed by an eternal blizzard. This setting is raw, unpredictable and ultimately dangerous and really helps generate an important atmosphere of fear. From this a player will initially derive a sense of much needed caution, coaxing them into putting a little bit more thought into the reckless pushing of buttons and to instead take more time on each puzzle. However, this is not it’s only means of significance as it brings so much more. In creating such a fearful atmosphere, the game has added further focus on the friendship between Nuna and Fox. The player will value the companionship as opposed to the alternative of isolation. Sustaining this focus is key to successfully drawing out the emotion within the game and the developers do so brilliantly. The divine visuals really aid in portraying the harshness of the surroundings and really do the game justice in providing a truly haunting feel. 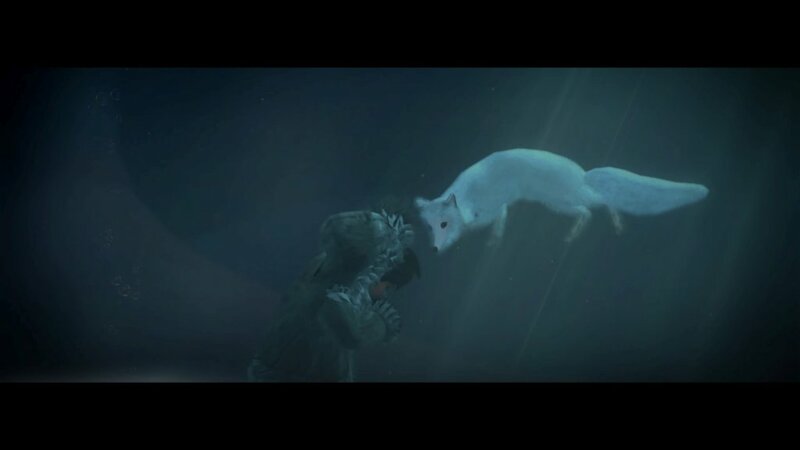 At the heart of Never Alone is the pairing between the hunter, Nuna and the hunted, Fox. This peculiar friendship is thoroughly heart-warming. The defiance of a renowned prejudice between the two is engrossing and by the end of a playthrough, the player will too be desperate for a companion like Fox. Upper One Games maintain focus throughout the game on the relationship between the two main characters. Throughout they’re always portraying so effectively that although the two differ so much, they excel as a partnership, complimenting each others abilities and ultimately proving that despite the preconception that they are oppositions, they need one another. As puzzles become more difficult, alongside the environment itself, the reliance between the pair grows stronger and the player is guaranteed to be entirely captivated by it. Never Alone embraces the Inupiate culture, enlightening the player of how they live. 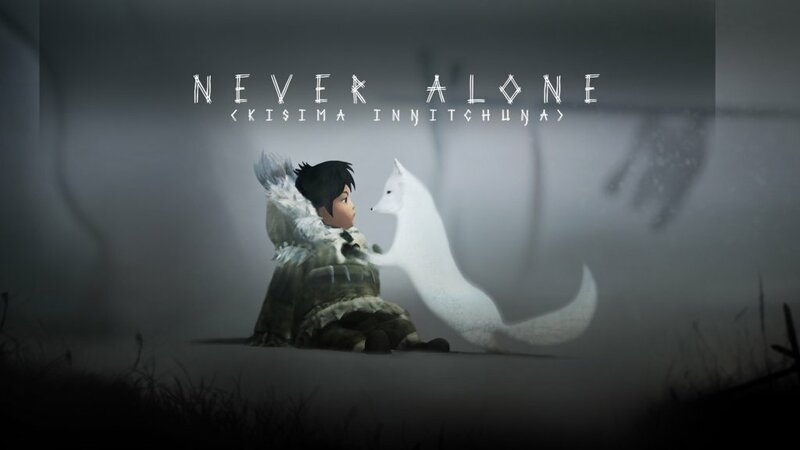 The whole story of Never Alone is based on Alaskan indigenous folklore. This makes the game incredibly intriguing as learning of this culture as events within the game unfold is actually very interesting. 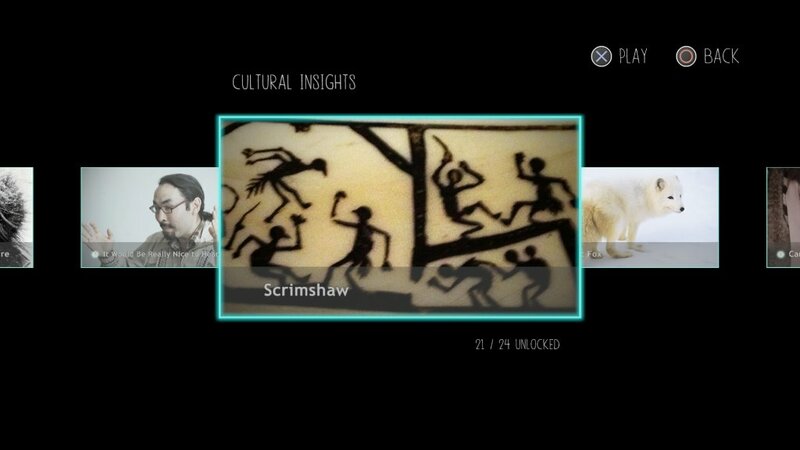 The collectibles within Never Alone are known as insights. These can be identified as tiny owls perched in various places through each chapter. These are brilliant collectibles and self-explanatory, they provide the player with an ‘insight’ into a particular aspect of the Inupiate culture, usually relevant to the specific chapter the player has found the owl within. The player will want to hunt down these owls as to enhance their knowledge and understanding of the games proceedings. Upper One Games have successfully developed a miraculously moving game that although short in play-time, will remain with players for much longer. With a simple premise and a clear, well-assigned focus on an adorable pair will emotionally intertwine with the player. Addictive for all the right reasons and brimming with such wise morals and messages, you will surely find you yourself alone if you don’t get started on this touching tale right away.